Modifying and updating various contents of a website – text, media, banner, etc. – should be easy; with Webstralia ’s custom CMS development solutions, it is. We build websites on different CMS platforms that are versatile, yet simple to use. If you know how to work with any word processing software, you will effortlessly be able to modify text and add or remove images to your website, anytime, anywhere. Overall, allowing you to easily manage every facet of your website on your own, without any dependencies on the web developers. 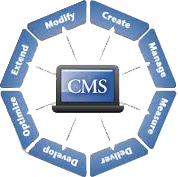 A web CMS or content management system is a web application that works in the backend of your website. It allows publishing and formatting of your website’s contents easily. The system is simple and easy to understand and so even users with little knowledge of any word processing application can use it efficiently. Websites need to be updated from time to time (for new information, SEO purposes, etc. 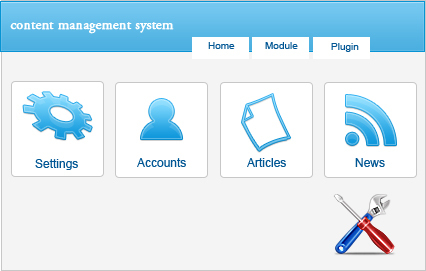 ), and since CMS is a simple system, it is a must-have for every business website. At Webstralia, we take pride in offering our clients with the most user-friendly, robust, SEO friendly web content management system. All websites we develop are equipped with a secure content management system that we custom-make to meet the needs of our clients, perfectly. We want our clients to maximize out the excellent websites we provide them with, so we offer nothing but the best in CMS development. Our team of CMS web developers in Sydney has vast knowledge in various Microsoft and Open Source technologies. They can deliver you superb solution, on the CMS platform of your choice, which can enable you to update the content of your website from anywhere, at any time. With our web content management solutions, you will no longer require to rely on a webmaster. Just manage your website on your own and see the changes instantly. Contact us with your requirement and know how we can help with the custom CMS website development.